An incredible score for this price range! Villa Poggio Salvi will be official sponsor of the 9th edition of Tuscan Rewind, a classic rally event that will take place on the earth roads in Montalcino next 24-25th November 2018. Villa Poggio Salvi is on Instagram! For the fourth year in a row the prestigious TV talent show X Factor, produced produced in Italy by FremantleMedia Italia and aired by Sky Uno HD every thursday, will be accompanied behind the scenes by our Villa Poggio Salvi wines. The wines selected for this exclusive partnership are Tosco IGT Toscana Sangiovese, Vermentino and Moscadello di Montalcino Vendemmia Tardiva (late harvest) – Aurico. 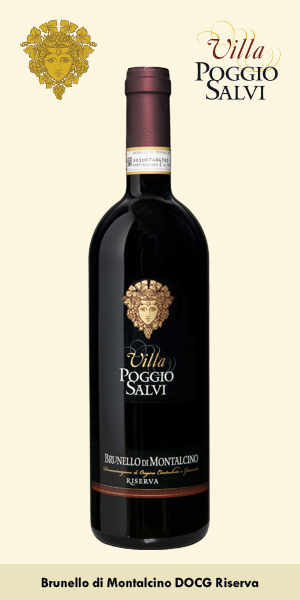 Villa Poggio Salvi will attend the next edition of Vinexpo Hong Kong that will take place on next May 29th to 31st. Our stand will be placed at Level 1 – Booth FG66-1 (Promosiena Area). Given the recurrence of reports of fake bottles found on the European market, with this report we want to make the situation public in order to warn and protect our customers. The ones we’re referring to are bottles of Brunello di Montalcino Villa Poggio Salvi 2008 Lot L-B222. The labels have been printed in a lower definition than the original ones, and the cap is anonymous, while all our caps have a stamped company logo (obviously it can be seen only once the bottle has been uncorked, therefore it’s not immediately possible to notice the difference). The greatest mistake was made with the application of the DOCG label: on the fake bottles, it is placed in vertical (left image), while in all our original bottles it is placed horizontally around the bottle neck (right image). For the third year in a row, Villa Poggio Salvi will be the “official supplier” of the Moto GP Aprilia Racing Team. 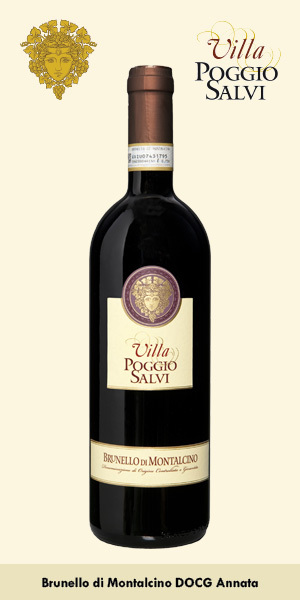 The wines from Villa Poggio Salvi will be offered for tastings during any of the European Moto GP events inside the Aprilia hospitality area. The prestigious magazine Wine Enthusiast has given a 92/100 rating to our Brunello di Montalcino Riserva 2012. 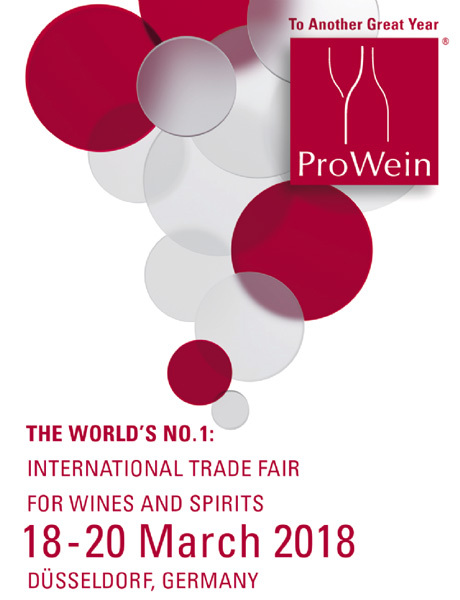 Villa Poggio Salvi will attend the next edition of Prowein, which will take place in Düsseldorf next March 18th to 20th. 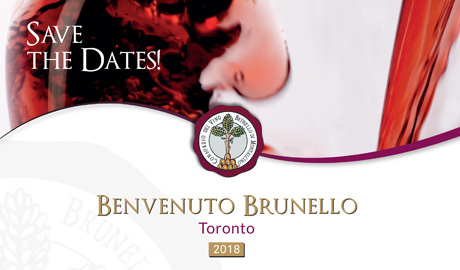 The second international presentation of the New Vintage of Brunello di Montalcino 2013 will take place in Canada. 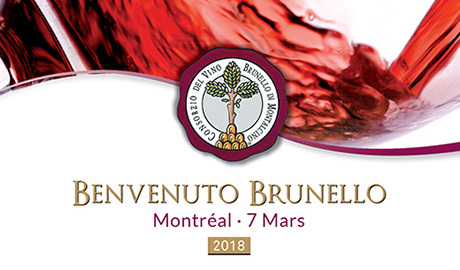 On March 5th in Toronto and on March 7th in Montreal, Villa Poggio Salvi will present their Rosso di Montalcino 2015, Brunello Riserva 2012, Brunello Annata 2013 and Brunello Pomona 2012. The prestigious magazine Wine Enthusiast has given a 91/100 rating to our Brunello di Montalcino 2013. 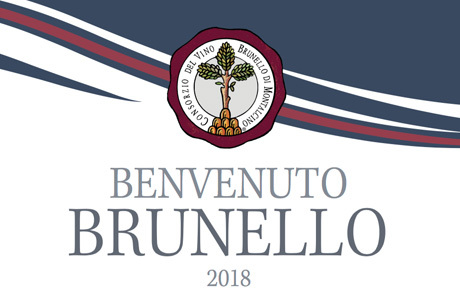 The first international presentation of the New Vintage of Brunello di Montalcino 2013 will take place in the USA. On January 29th in New York and on January 31st in Chicago, Villa Poggio Salvi will present their Rosso di Montalcino 2015, Brunello Riserva 2012, Brunello Annata 2013 and Brunello Pomona 2012. Villa Poggio Salvi has been selected to participate at the third edition of Wine & Siena, which will take place on Saturday 27th and Sunday 28th of January. Our stand will be located inside the Town Hall (Palazzo Comunale) at position Rocca Salimbeni – Table 83.